The Internet is abuzz with the word that you might soon be able to buy a new Kindle at an actual Amazon (AMZN) Store. The e-commerce giant is reportedly opening its first pilot store in Seattle, something of a boutique operation that will feature Amazon exclusives like the Kindle e-reader, Kindle Fire tablet and its proprietary e-books. So why might Amazon -- which has become the nation's biggest online merchant, in part, by avoiding the overhead costs of operating stores and deftly skirting state sales tax laws to offer shoppers super-low prices -- start flirting with bricks-and-mortar retailing? Experts suggest It could be that Amazon, which is big on experimentation, wants to test out its brand in a real-world store that's as much about the experience as it is about the products -- akin to what Apple did with the Apple Store. 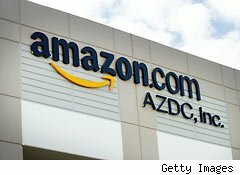 Amazon, which declined to comment when asked by DailyFinance to confirm the report, "is a company that will try anything once," said Kenneth Wisnefski, founder and CEO of Webimax, which develops online marketing strategies for retailers such as Aéropostale (ARO) and Sam's Club (WMT). Amazon's quirky founder and CEO Jeff Bezos has fostered a culture of experimentation that can make the retailer seem like a renegade in the retail sector: It's a public company that acts more like a private firm, more interested in taking risks than soothing Wall Street. The company conducts "hundreds" of experiments daily, and many of them fail, Bezos said last year during a conference held by ShopSmart, Consumer Reports' shopping magazine. But if Amazon can figure out a fresh way to bring its idiosyncratic take on merchandising to a brick-and-mortar store, it will be in step with the move toward "experiential retailing," which is where forward-thinking companies are headed these days, Wisnefski says. Retailers like the Apple Store (AAPL) and Starbucks (SBUX) "are turning more of the product [selling] model into an experience, where it's less about being a traditional retail store," he says. Barnes & Noble, the country's only remaining national book chain, has until now boasted that unlike Amazon, the retailer can offer free in-store customer service support for its Nook e-reader. A chain of Amazon Stores would nullify that advantage. Given that Amazon has moved far beyond its book-selling roots, hawking everything from consumer electronics to apparel and home furnishings to become the nation's fifth-largest retailer, it's quite possible that an Amazon Store could eventually carry a wide range of products, which could be a "win-win" for both shoppers and Amazon, Bob Lambert, CEO of The Digital Firm, which provides industry market analysis, tells DailyFinance. For one, the retailer could tap into a new base of customers: those more inclined to inspect a product in person before buying it, be the purchase a bag, refrigerator or Blu-ray player. And Amazon Stores could serve as merchandise showrooms that would complement the retailer's well-oiled product distribution model, which was designed, in part, to find consumers the lowest price, Lambert says. It's conceivable that in its own store, Amazon shoppers could browse the merchandise and then search on Amazon.com for the best deal, as the company not only sells directly to consumers, but also through third-party retailers. "For consumers, it adds another way for them to comparison shop, and for Amazon, it adds another channel of distribution," Lambert says. But Craig Johnson, president and CEO of retail consultancy Customer Growth Partners, says an Amazon store could mostly be a bid to make a bold marketing statement, a kind of "working billboard." Of course, there's always the possibility that shoppers won't warm up to the idea of Amazon as a brick-and-mortar store, as brands that carve a niche in one area don't always thrive in a different venue. For example, Gateway's computer stores flopped, and Disney's foray into retail has been spotty, Johnson says.